The Community College Humanities Association is divided into divisions. Learn more about each division and their leadership. Belong to the humanities but not sure where you belong geographically? 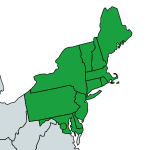 Click through to see each region on a map and a list of the states comprising each division. You can also learn about your divisional conference, see who your divisional leaders are, and contact your leadership. We would love to hear your ideas and we would love you to join us in our efforts. 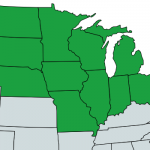 Each of the five geographical regions is led by a president, vice president, and secretary. Each of these positions is filled by a faculty member who has been nominated and elected by the constituents of the respective geographical divisions. These representatives serve two-year terms and are welcome to stand for reelection. The bulk of these officials’ work is in organizing divisional conferences and working as liaisons between the national office and their constituents. For more information on anything related to your division, including your next divisional conference, follow the relevant link below and feel free to contact your divisional leadership with any questions, comments, or concerns.